The Town Clerk’s office offers free Notary Public services for documents not related to real estate closings. You must sign the document in the notary’s presence. You must bring some form of identification (preferably a driver's license) with you to verify your signature. Some documents also request a witness to your signature. Witnesses are not provided. A witness to your signature is to be someone who knows you and does not have a financial interest in the document being witnessed. The Groton Town Clerk’s Office is a Commissioner to Qualify location for public appointment oaths, required to be taken by notaries and others. To perform a qualification, two commissioners must be present with the appointee. You must bring you state appointment letter. Please call ahead to make sure two commissioners will be available. The Town Clerk’s Office maintains vital records as described below. Records can be obtained in-person, by mail or by using an online ordering service. The Massachusetts State Registry of Vital Records and Statistics can also provide certificates for Groton or any other Massachusetts community. Follow the link https://www.mass.gov/orgs/registry-of-vital-records-and-statistics to their website for more information. How long does it take to get a vital record? : Mail and online orders are usually processed with 24 hours. Walk in service is available. The Town Clerk's Office is responsible for original records of all deaths that have occurred in Groton. Death certificates are public records. A certified copy of a death certificate may be obtained in person, by mail or by using the online ordering service. Requests for records can be made to the Town Clerk's Office. Please have the date of death available. Fee: Fees for certified copies are payable by cash, check, credit card or online payment. View the fee schedule PDF document. You can make an online payment by accessing here. 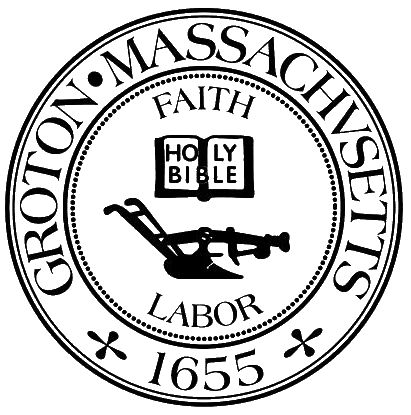 The Town Clerk's Office is responsible for original records of all births that have occurred within Groton and in the Commonwealth of people whose parents resided in Groton at the time of the birth. Certified copies of birth certificates may be obtained in person, by mail or by using the online ordering service. Requests for records can be made to the Town Clerk's Office. Please have the birth date available. To obtain certificates by mail: Send a check payable to "Town of Groton". Your request should include the name and date of birth appearing on the certificate, a contact telephone or e-mail address, and a self-addressed, stamped envelope. If the record requires identification (see below,) the appropriate person must sign the request and include a photocopy of a driver's license or government-issued photo ID. Fee: Fees for certified copies are payable by cash or check or online payment. View the fee schedule PDF document. Records requiring identification: A record is not accessible to the general public if the parents were unmarried at the time the child was born (and have not since married and amended the birth record), or if the father's name does not appear on the record. When this is true, only the mother, father (if listed,) or child may request a certificate. Identification will be required. Identification is not required for other records. If you are planning on getting married in Massachusetts, you can apply for Marriage Intentions at any City or Town Clerk’s Office. You must be getting married within 60 days. There is a three day waiting period from the time of application until the marriage license can be issued. Marriages can be solemnized by Massachusetts clergy or Justices of the Peace. Out of state clergy must register with the Massachusetts Governor’s Office. Many couples prefer to have a family member of friend solemnize their marriage. If that person is not a member of the clergy or a justice of the peace, he or she may apply for a One-Day Marriage Designation, also through the Governor’s Office (https://www.mass.gov/one-day-marriage-designation). To apply for Marriage Intentions, both parties to the marriage must present themselves at the same time to a clerk’s office to complete brief paperwork. Both parties must present identification. After the three day waiting period, a marriage license is issued which must be brought to the ceremony. The Solemnizer will complete a portion of the document, which is then returned to the same clerk’s office (along with a One-Day Marriage Designation certificate if applicable). Once certified by the clerk, a marriage certificate will be issued. The cost for this process in Groton is listed in the fee schedule. Looking to obtain a copy of your marriage certificate? Marriage certificates are kept in the city or town where the marriage intention was filed. This is often not the same city or town where the marriage took place. Certified copies of marriage certificates may be obtained in person, by mail or by using the online ordering service. Requests for records can be made to the Town Clerk's Office. Please have the marriage date available. Dogs must be registered each calendar year. Please visit our Dog Registration page for more information. The primary purpose of filing a business certificate is to protect consumers or creditors by identifying the names and addresses of the owners of the business. The filing of a business certificate does not protect a business name as does a corporate filing or a trademark registration. A business certificate filing is commonly called a “d/b/a” (Doing Business As). Please visit our Business Certificates page for more information and requirements for registering.